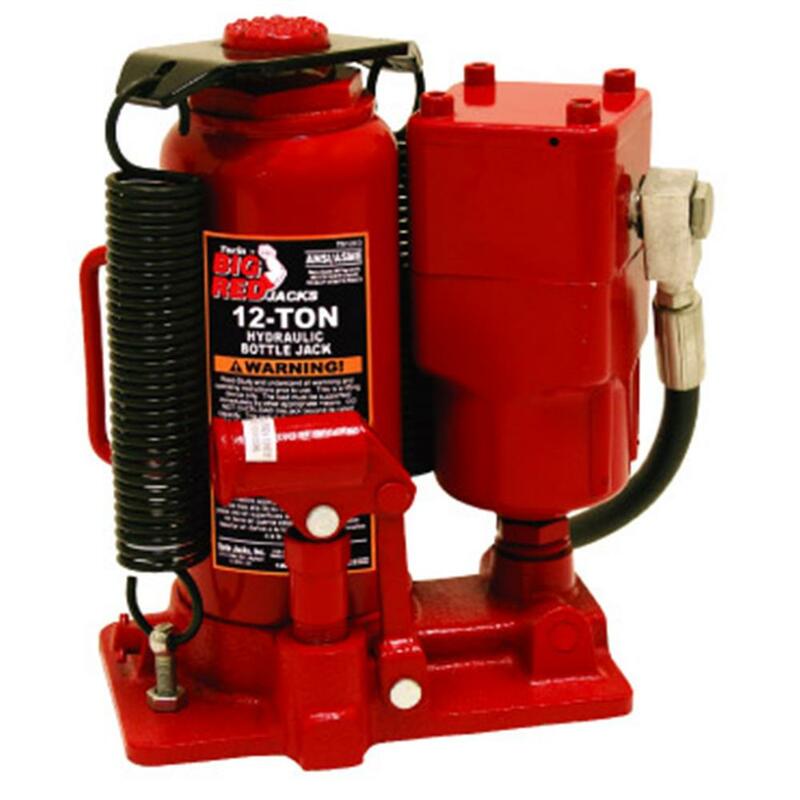 These are the air over hydraulic bottle jacks that you need for extra heavy jobs. Our units feature a 12 ton or 20 ton capacity. It operates manually with the handle or you just plug in an air compressor, and you have an air powered jack! Includes 4' of air hose, and a power up switch. The head screw turns up 3.15" and the maximum lift is 20.1". The unit is mounted on a 7.76" x 5.28" base. 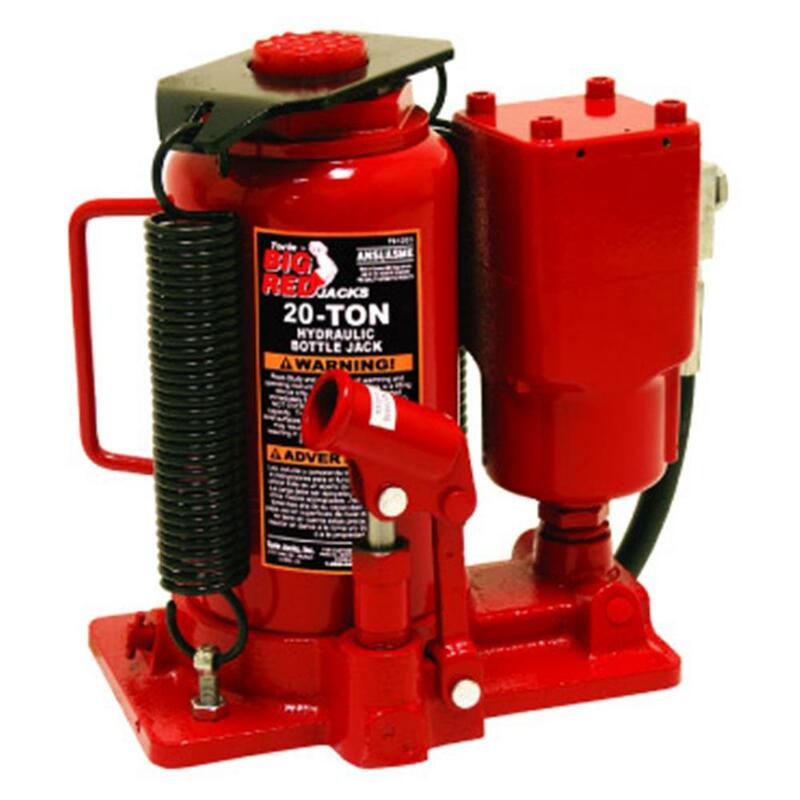 Operates on 120-200 PSI. These units save alot of time and they work great!